Who is the coach giving the speech? ATLANTA — Was it a fumble? Or was it a dropped pass. 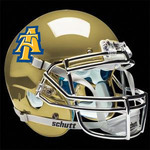 In the end, both sides agreed with the officials who ruled that N.C. A&T running back Marquell Cartwright dropped a pass over the middle on the first play of the Aggies’ game-winning drive in their 21-14 Celebration Bowl victory over Grambling. Grambling’s defense scooped the ball off the turf and ran with it as if it were a fumble as referees blew their whistles. “The first time I looked at the replay, it looked like (Cartwright) caught the ball,” Grambling coach Broderick Fobbs said. “There was only a minute left on the clock, and I wasn’t going to sit there and hold my timeout. I’m going to throw up a prayer and see if it was a catch. Timadre Abram did not see it coming. Standing on the sideline at Mercedes-Benz Stadium in Atlanta, the Kathleen grad watched as the North Carolina A&T offense drove down the field. Abram, a defensive back with the Aggies, was admittedly nervous as his team made one final push in the Celebration Bowl on Saturday. 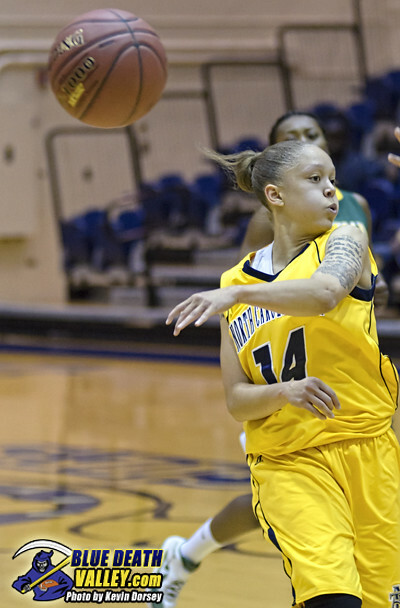 This wasn’t some run-of-the-mill, end-of-season game against Grambling State. This one decided the black college football national championship. The theatrics began with a fake spike by quarterback Lamar Raynard. That led to Elijah Bell’s catch up the sidelines. Two plays later, Raynard called his own number on a sneak to score the game-winning touchdown with 38 seconds left. what's really impressive is take a look at the "local talent" on this historic team! raynard (meac offensive poy) from high point, cartwright (cb mvp) from high point, mccain (freshman fcs all american, cb defensive mvp) from greensboro. 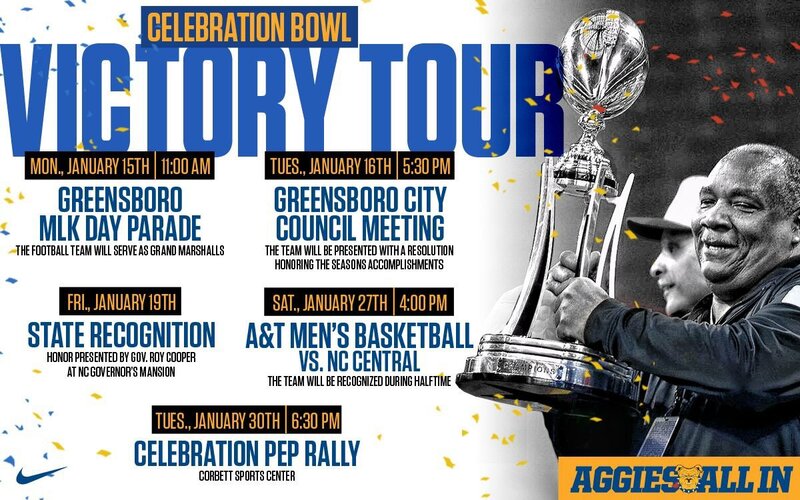 Michael Wallace and Donal Ware wrap up the HBCU season and recap North Carolina A&T's win over Grambling in the Celebration Bowl to capture the Black College national title. The final bowl game television rating numbers are in and the Celebration Bowl took a slight dip, but still finished in the top two-thirds of overall viewership. The Celebration Bowl drew a 1.6 rating, according to Sports Media Watch. That’s slightly lower than the inaugural game in 2015 and solidly below the 2016 game’s rating. A total of 2.35 million watched North Carolina A&T defeat Grambling State on Dec. 19, compared to 2.5 million (1.7 rating) in 2015 and 2.7 million in 2016.